As a skilled physiotherapist, I offer comprehensive physiotherapy services to Portsmouth, Fareham and the surrounding areas in Hampshire. Qualifying as a physiotherapist in 1995, I had already spent over twenty years participating in weight training, martial arts, mountain biking, serious trekking and sport in general, and therefore knew a great deal about injuries that active people can encounter. I offer a wide range of treatments, including remedial massage, manipulative therapy, ultrasound, low level laser therapy and acupuncture. With a wealth of experience, my aim will be to identify the cause of your pain or problem at the earliest stage and return you to fitness as soon as possible. So if you are in the Portsmouth, Fareham, Waterlooville, Havant or Cosham areas of Hampshire and are suffering pain, why not give me a call or email me? Why Choose My Physiotherapy Services? Member of the Chartered Society of Physiotherapy (CSP). Registered with the Health Professions Council (HCPC). A friendly, local service - covering Portsmouth and the surrounding areas in Hampshire. 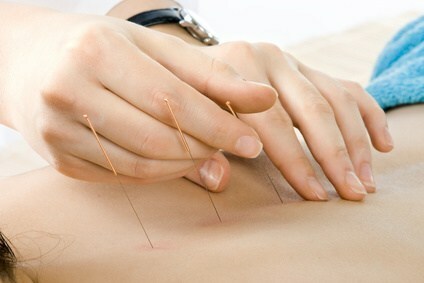 Wide range of services - remedial massage, manipulative therapy, ultrasound, low Level laser therapy and acupuncture. Years of experience - a physiotherapist that you can trust. To find out more about the different physiotherapy services that I provide, please read my physiotherapy page. Mike Faulkner physiotherpay Portsmouth is able to treat multiple conditions - persistent back pain physiotherapy Portsmouth, physiotherapy for neck pain Portsmouth, shoulder pain physiotherapy Portsmouth, general pain physiotherapy Portsmouth, accident injuries physiotherapy Portsmouth, rheumatoid arthritis physiotherapy portsmouth, osteoarthritis physiotherapy portsmouth, joint pain physiotherapy portsmouth, muscle imjuries physiotherapy portsmouth, tendon imjuries physiotherapy portsmouth, ligament injuries physiotherapy portsmouth, trapped nerves physiotherapy portsmouth, tennis elbow physiotherapy portsmouth, sciatica physiotherapy portsmouth. Contact Mike Faulkner physiotherapy in Portsmouth if you need a physiotherapist for backache Portsmouth, remedial massage Portsmouth, manipulative therapy Portsmouth, ultrasound therapy Portsmouth, acupuncture Portsmouth, physiotherapy home visits Portsmouth, low level laser therapy Portsmouth.